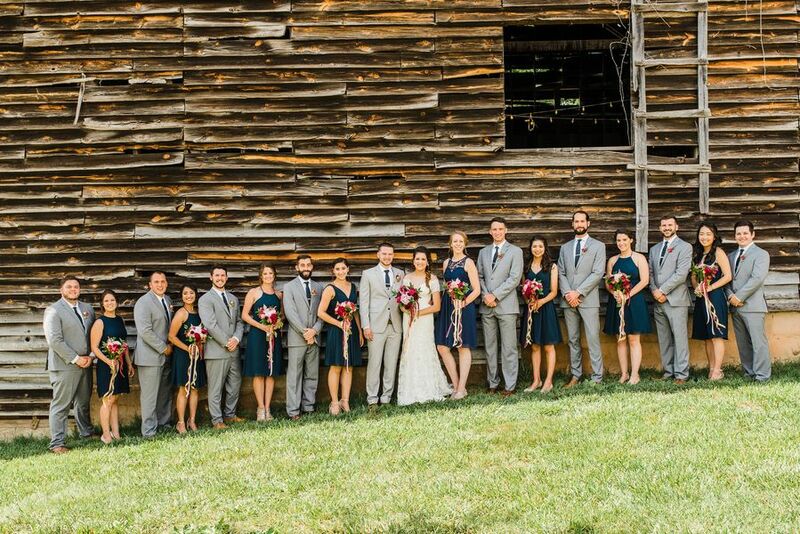 Happy first day of November, friends! 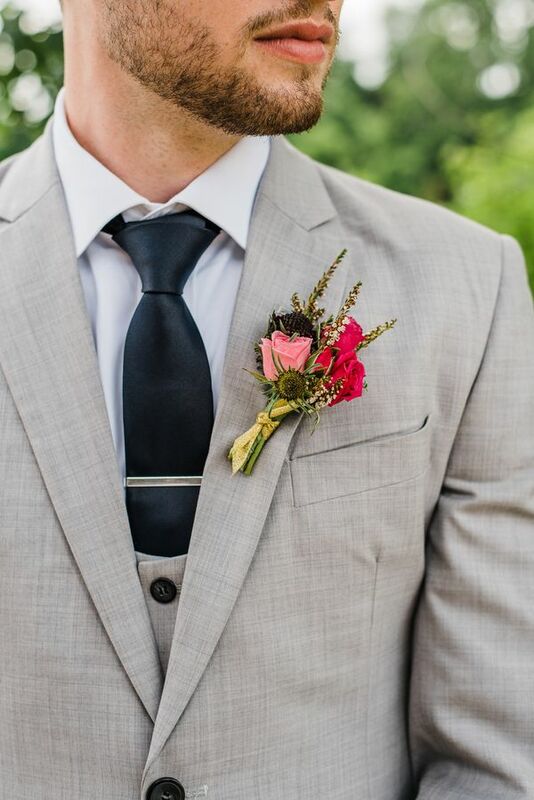 Who has gotten their fill of Halloween candy and festivities? 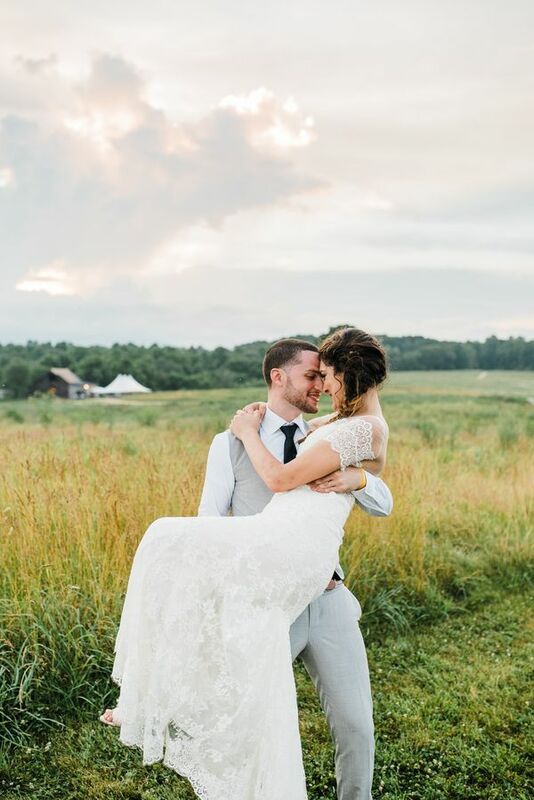 While you're still rummaging through your candy bowl for the last few pieces of Twix, here is another sweet goodie for you to devour from the lens of Emily Marie Photography. 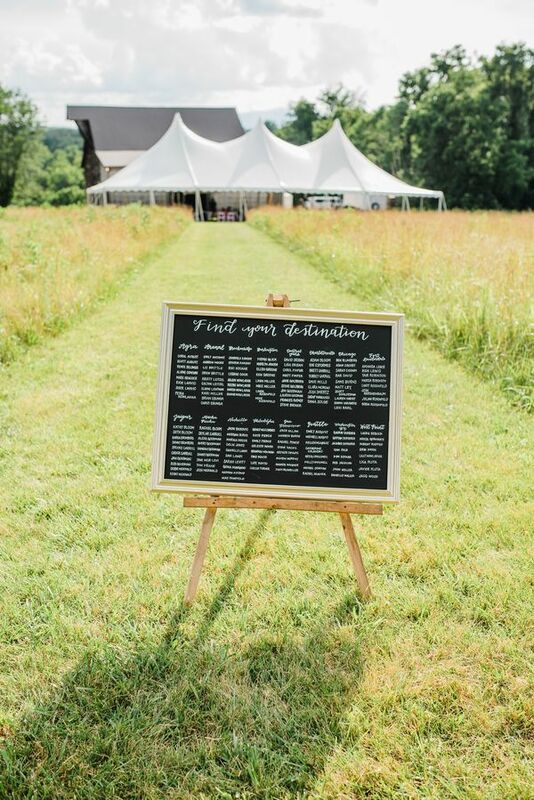 Fun fact: keep your eye out for the calligraphy. 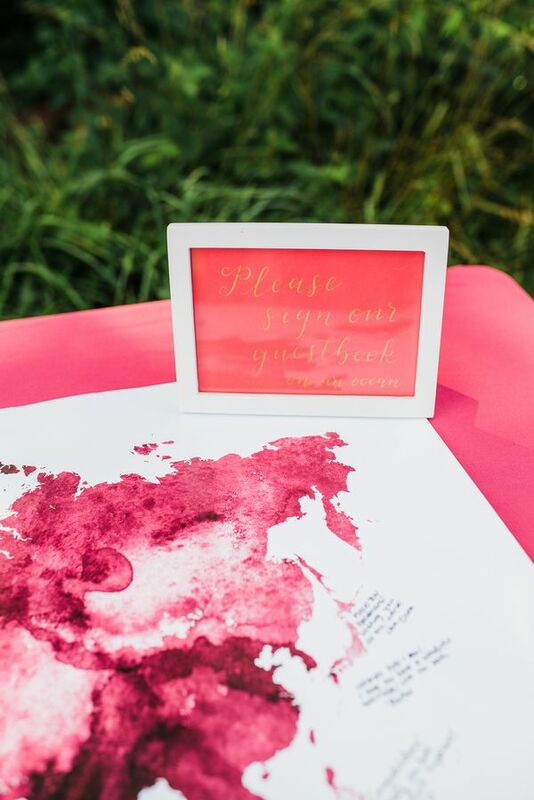 The bride cleverly did all of the beautiful penwork. 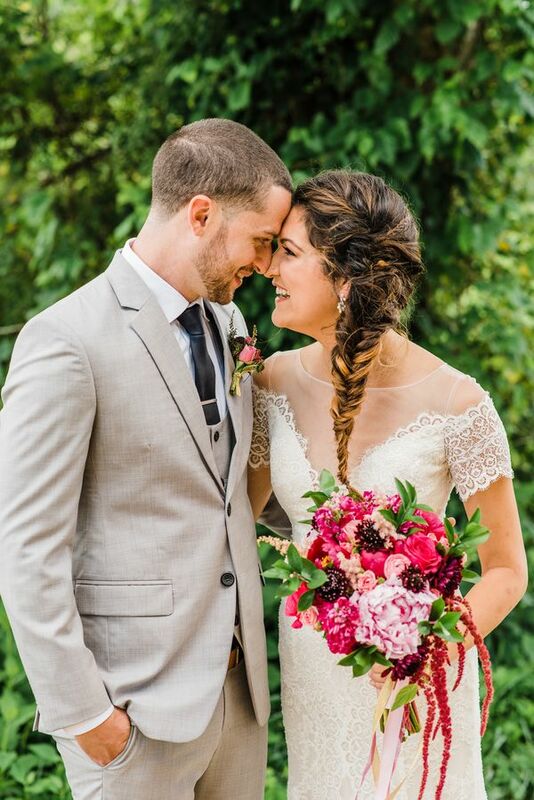 Brava to her on those skills! 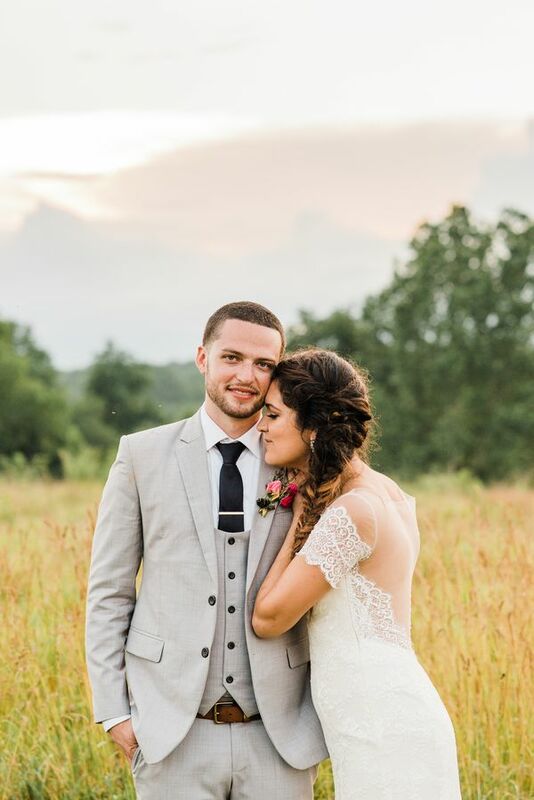 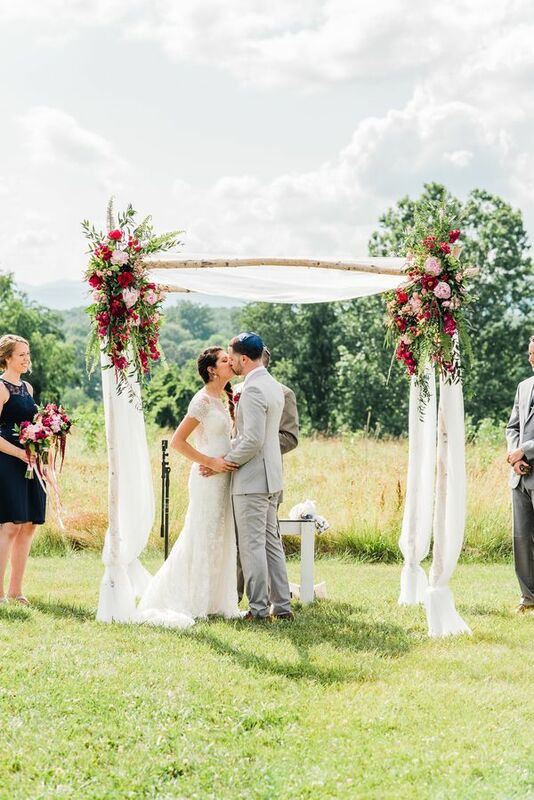 Kalika and Ben had the most magical wedding day in the Blue Ridge Mountains and it was filled to the brim with whimsy and sweet personal touches of their backgrounds. 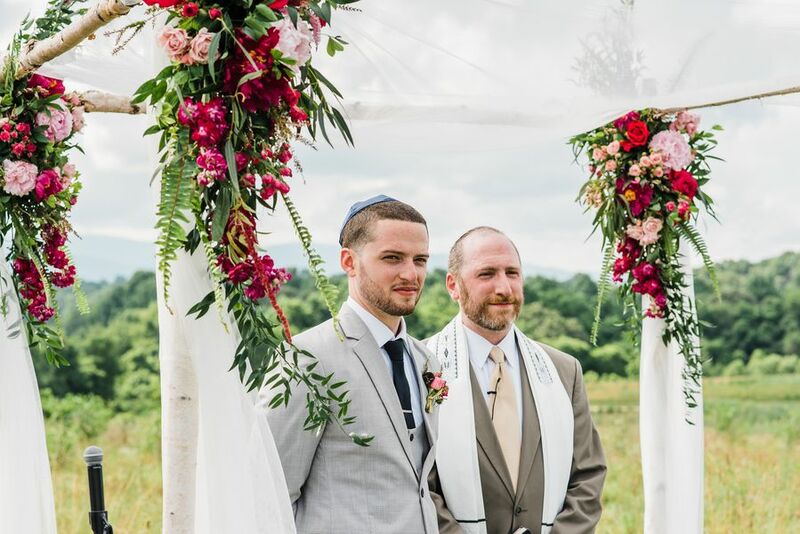 The pair held an Indian engagement ceremony in Jaipur to celebrate the bride's heritage, so with the help of Liz Brittle Events, they held a Jewish wedding donned in colors of navy, raspberry, and gold in Charlottesville to honor the groom's roots. 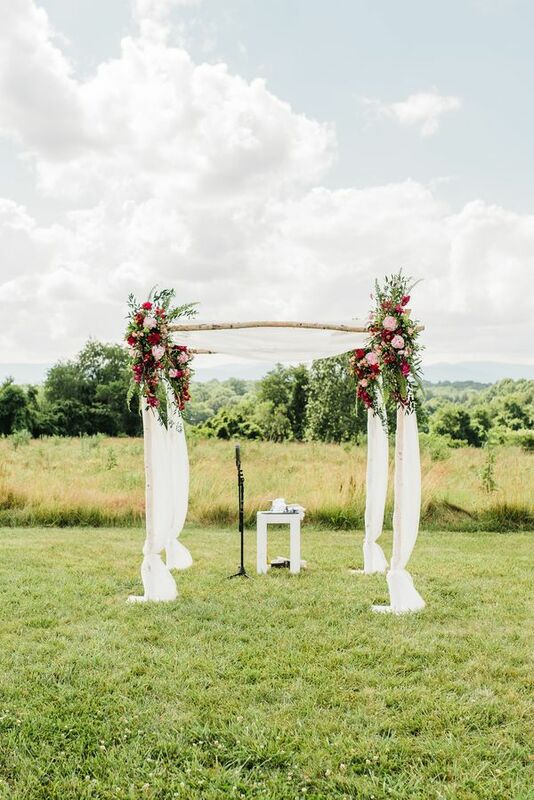 Standing out against the rolling hills landscape were the lovely arrangements by Good Earth Flowers, decorated in the lushest peonies, roses, and more in shades of raspberry. 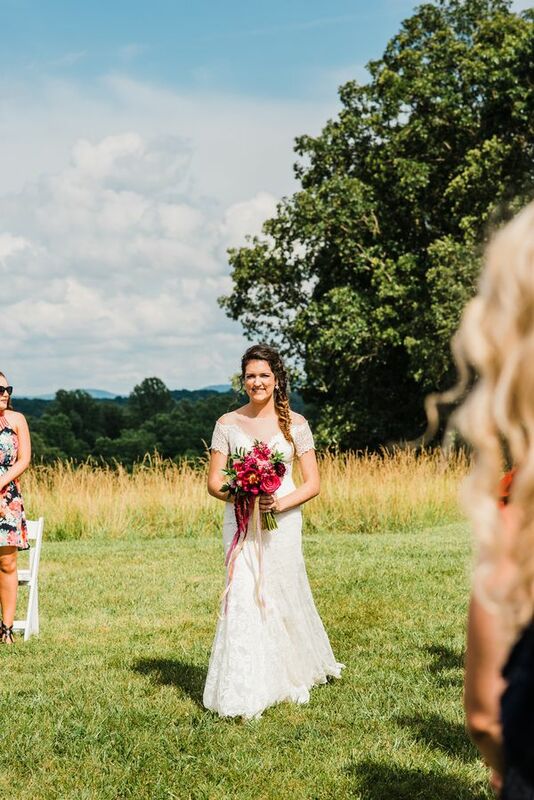 Kalika and Ben's whole wedding day is inundated in love and laughter, epic decor, and some very spectacular views of Virginian mountainscapes to boot. 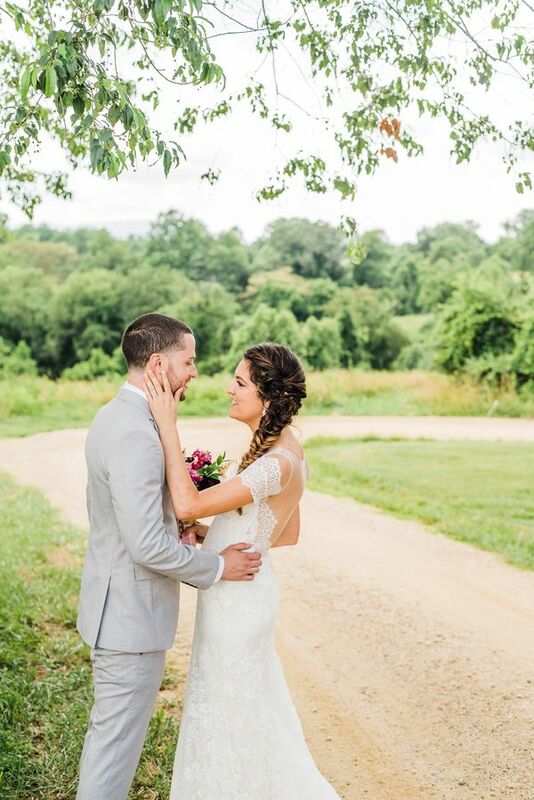 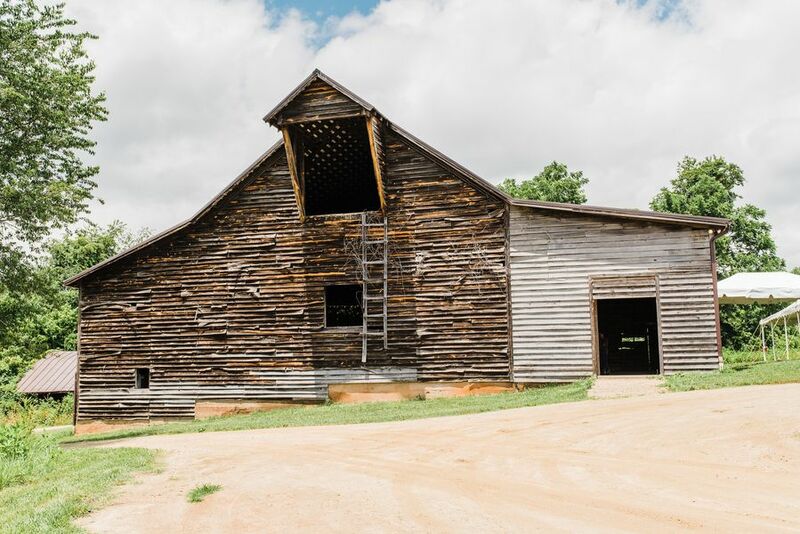 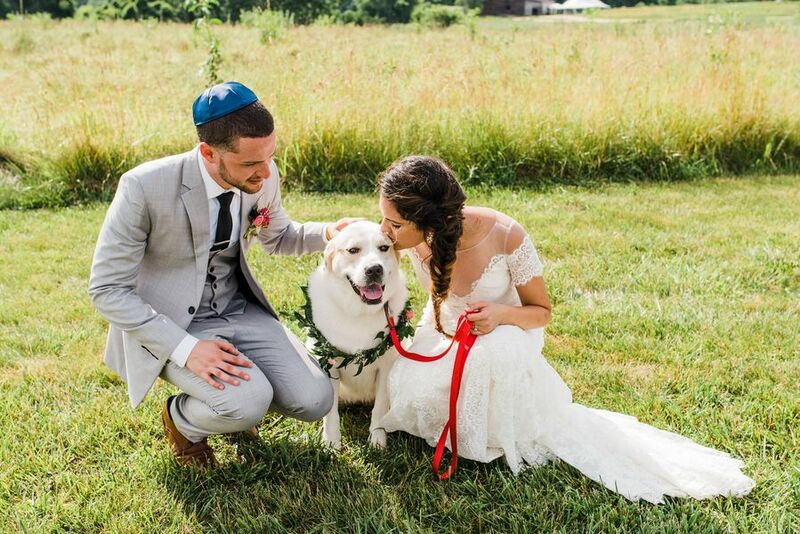 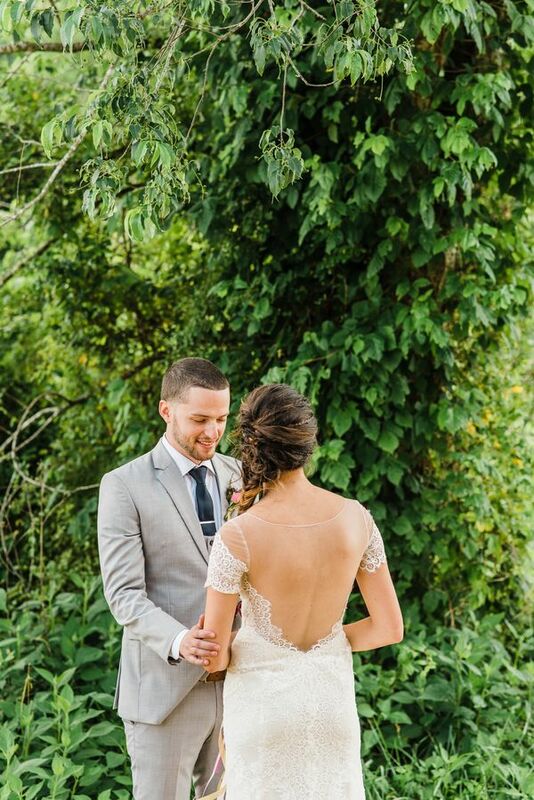 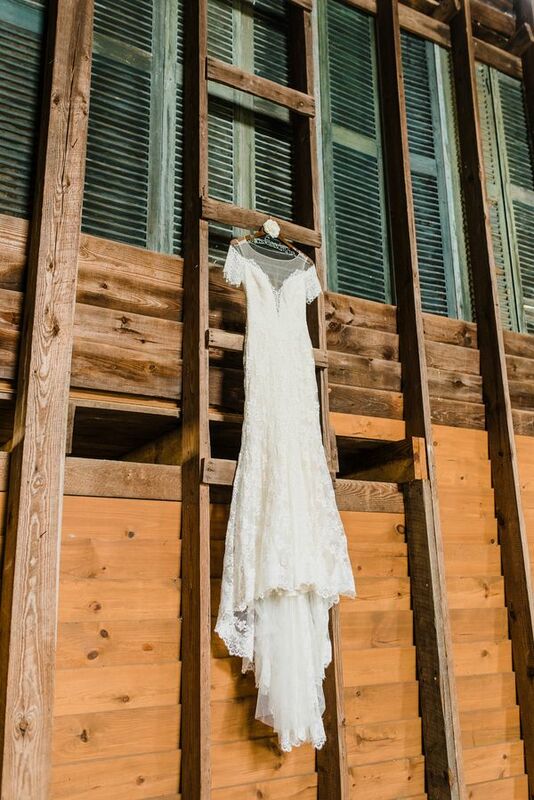 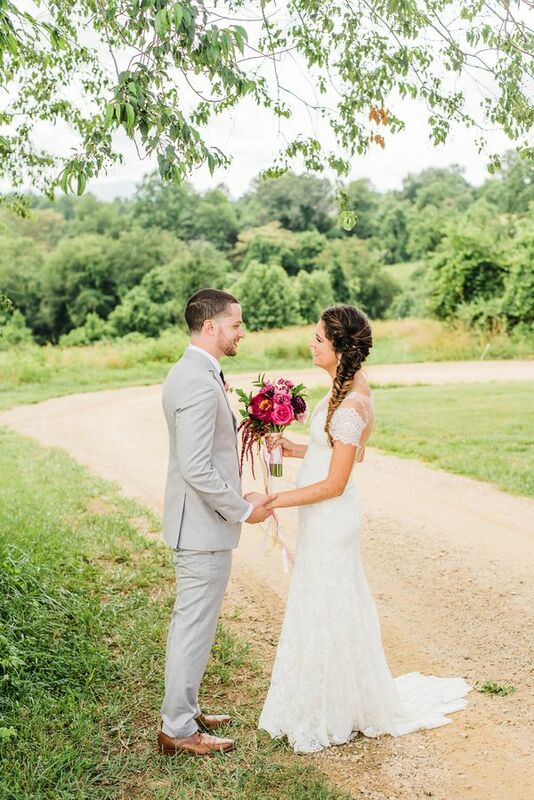 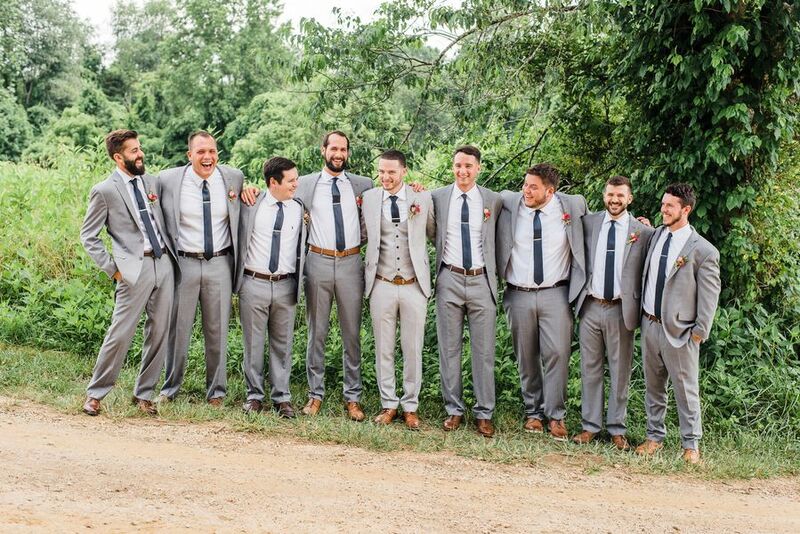 From the bride, "The inspiration behind our day was a combination of wanting to show off Charlottesville to our out-of-town guests, my (half) Indian and Ben’s Jewish heritage, and our fun-loving personalities." 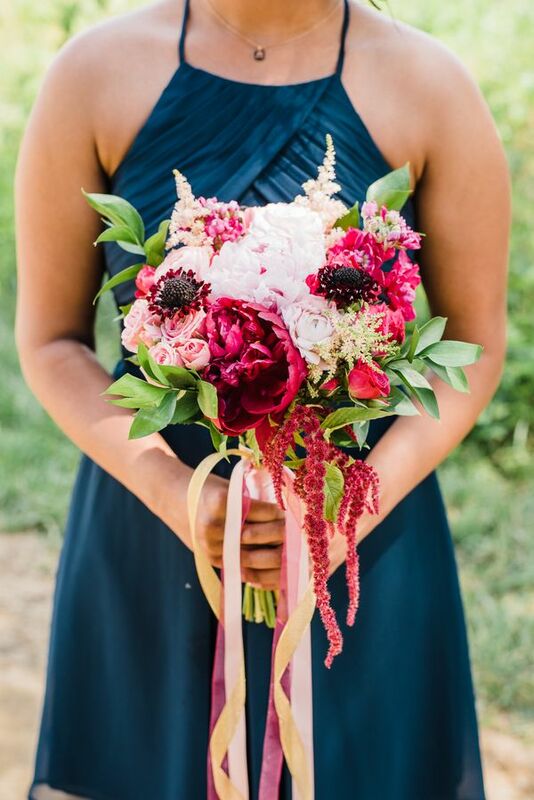 "Our colors were navy, raspberry and gold for the perfect combination of classic and bold." 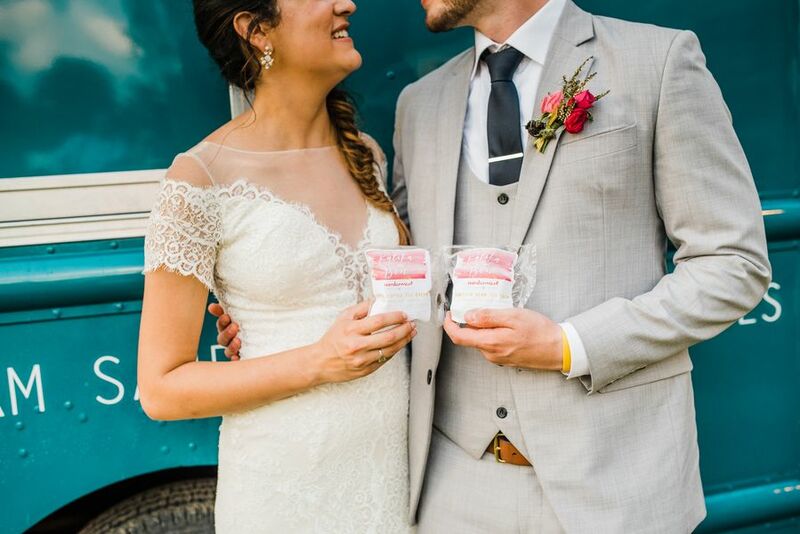 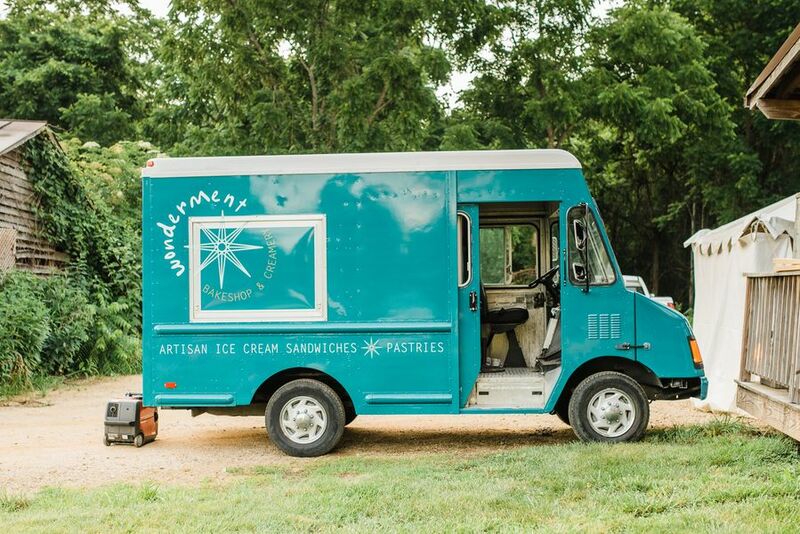 "I'm a calligrapher, so I was very excited to DIY all of the signage and paper goods for our wedding. 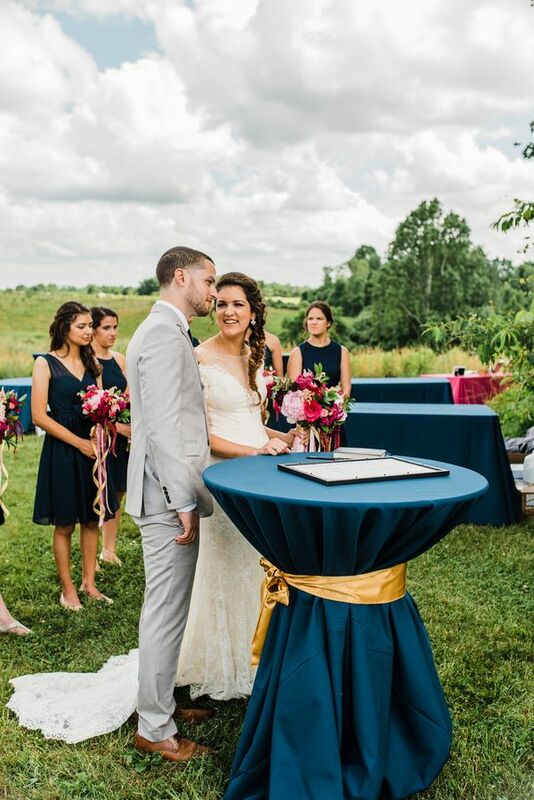 I first applied a Finetec gold wash to each navy outer envelope, then calligraphed names and addresses in white ink." 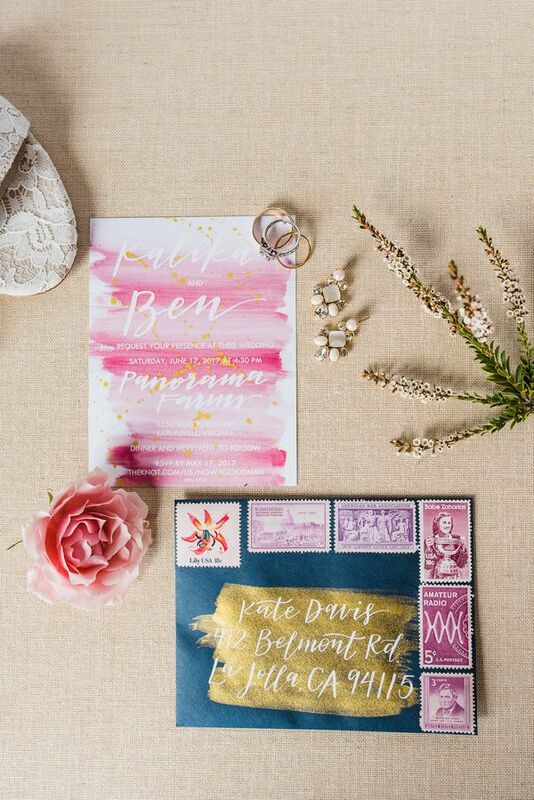 "Ben applied the numerous raspberry, pink and purple vintage stamps to each outer envelope." 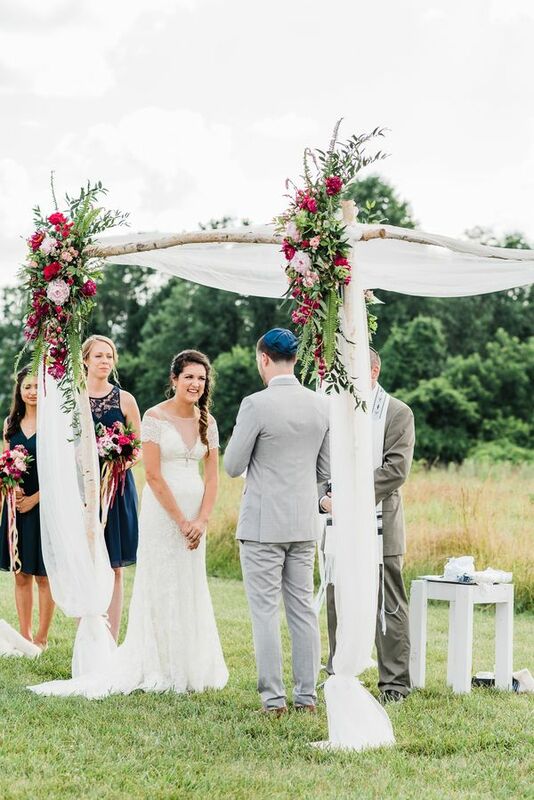 "Since we had an Indian engagement ceremony in Jaipur to check off the half-Indian traditions box, we had a Jewish wedding." 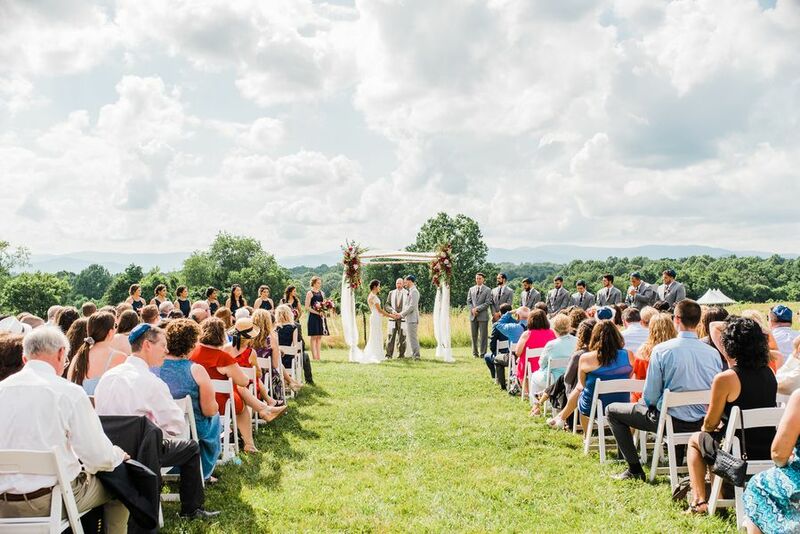 It was interesting to learn about some of the similarities in both cultures’ wedding traditions, for example, in a Hindu ceremony, the bride and groom circle a fire together. 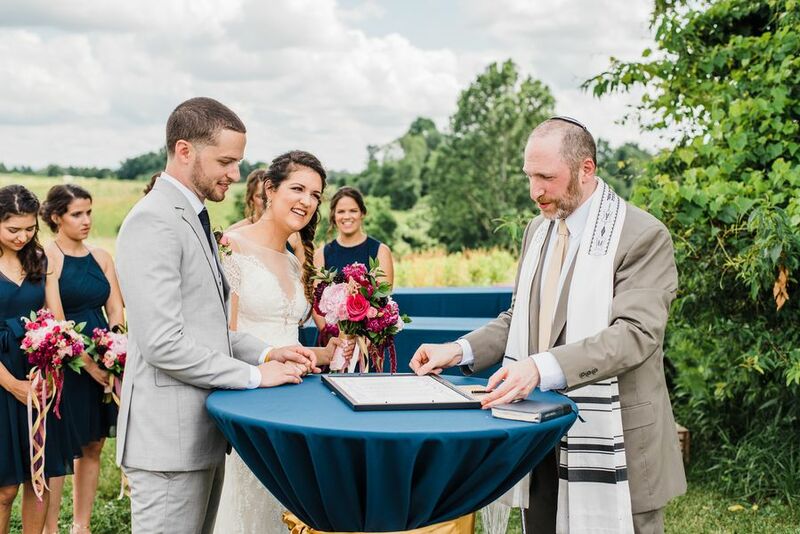 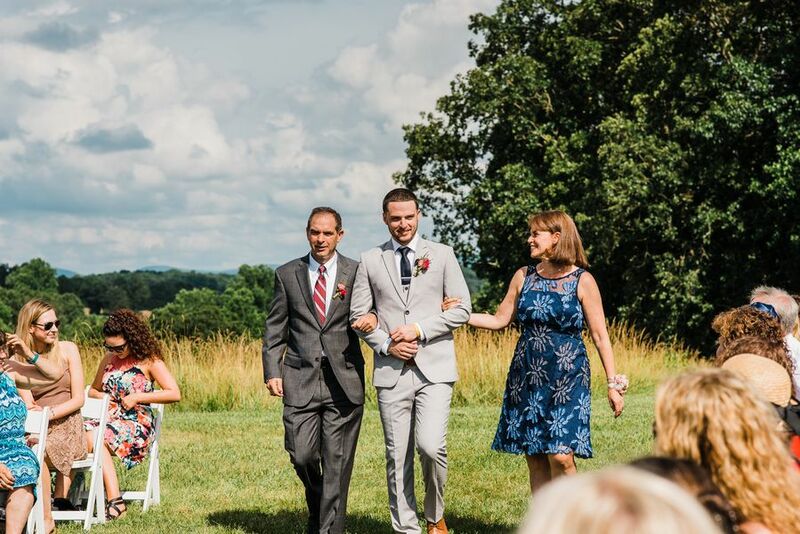 "At the beginning of our Jewish ceremony, after I walked down the aisle, I circled Ben three times." 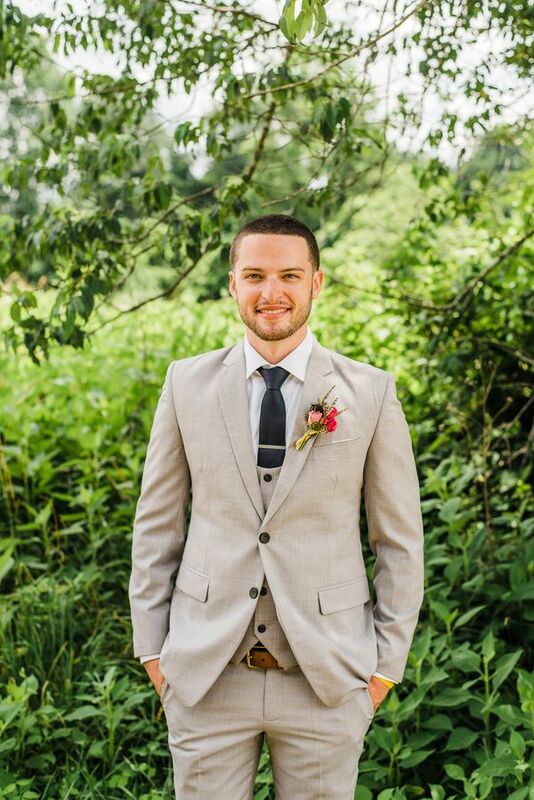 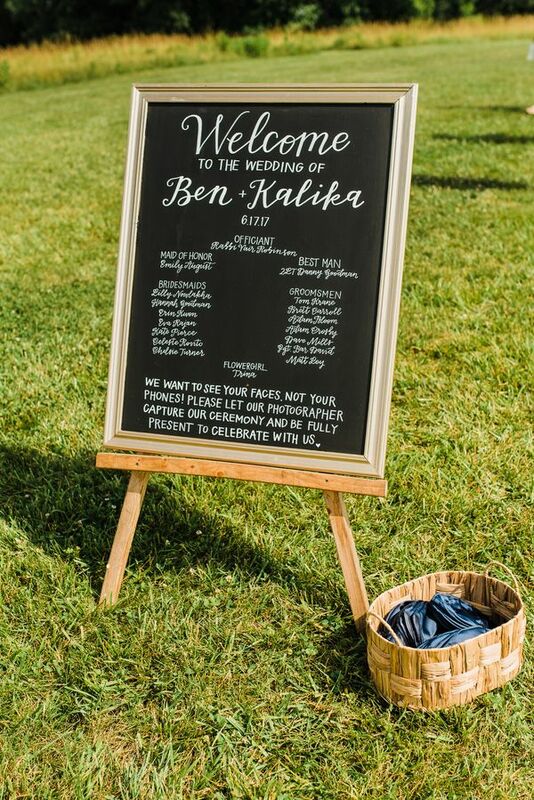 "I made two large chalkboards for our welcome sign and seating chart, where guests found out their “destination” instead of a table number since we travel a lot." 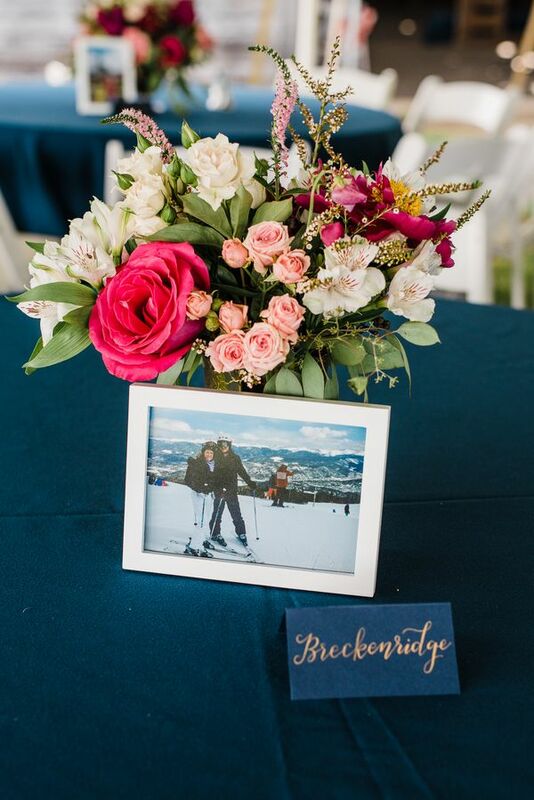 "We also included a framed photo of the two of us in that destination city at every table." 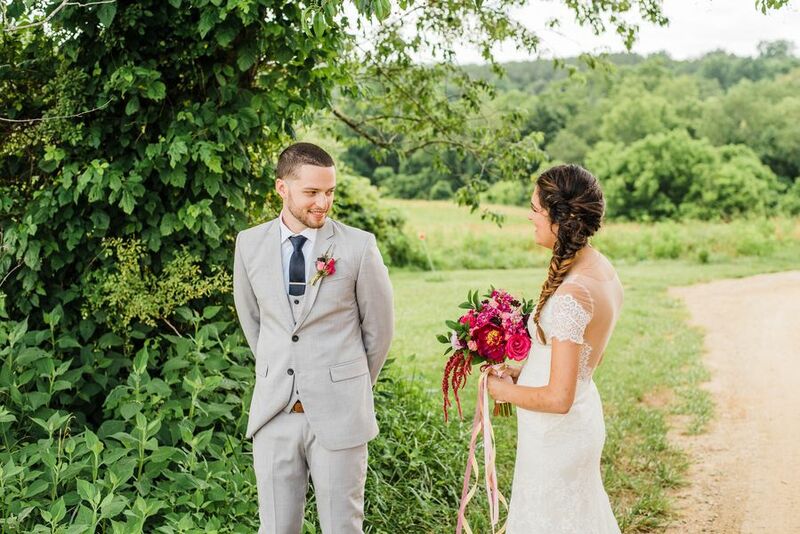 "Our florals were bright, bold shades of raspberry. 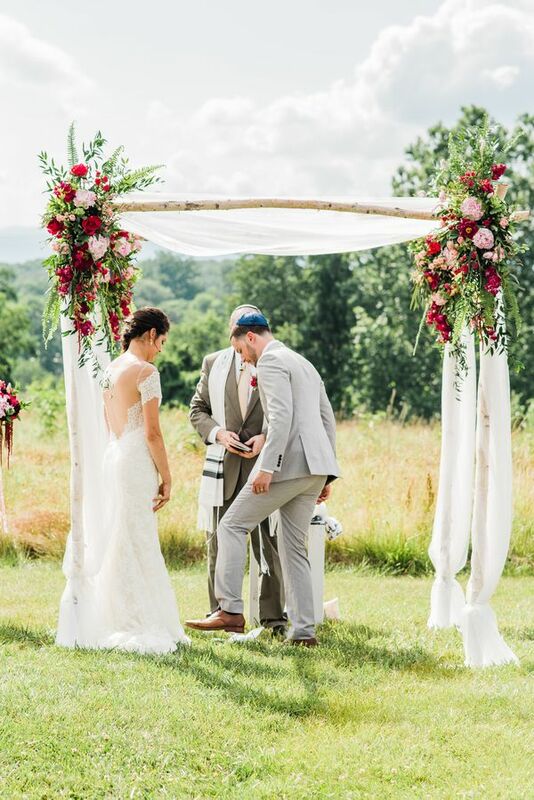 Florals adorned each corner of our gorgeous white birch chuppah from Good Earth Flowers." 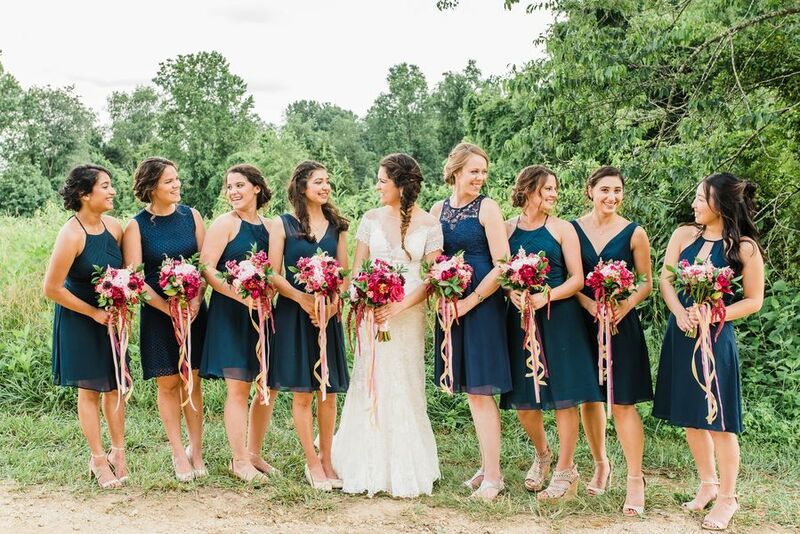 "Bridesmaids’ bouquets and the bridal bouquet were wrapped in pink and gold ribbon. 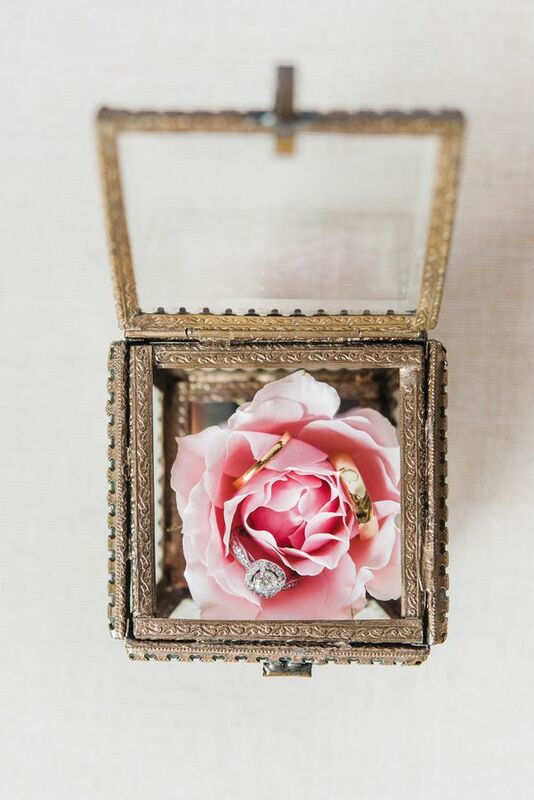 We had a floral arrangement on each table in a gold vase that really popped against the navy tablecloths." 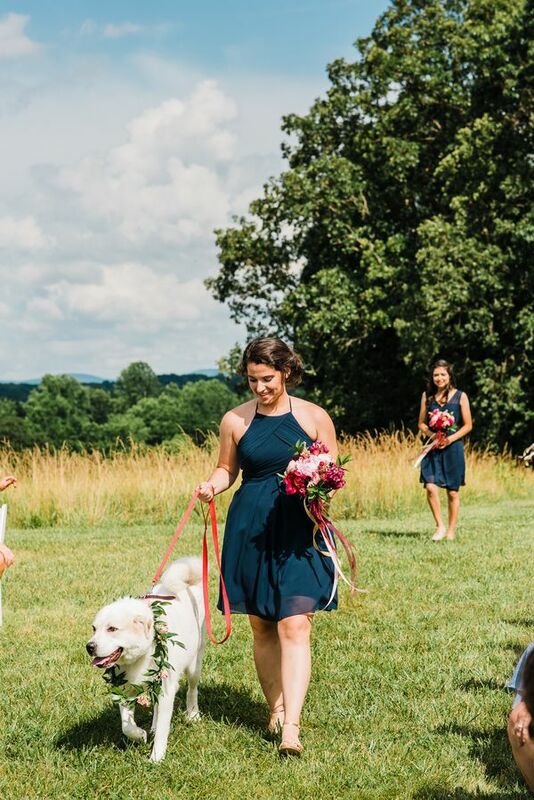 "Most importantly, our flower girl dog Trina looked adorable in her floral wreath around her huge, fluffy neck." 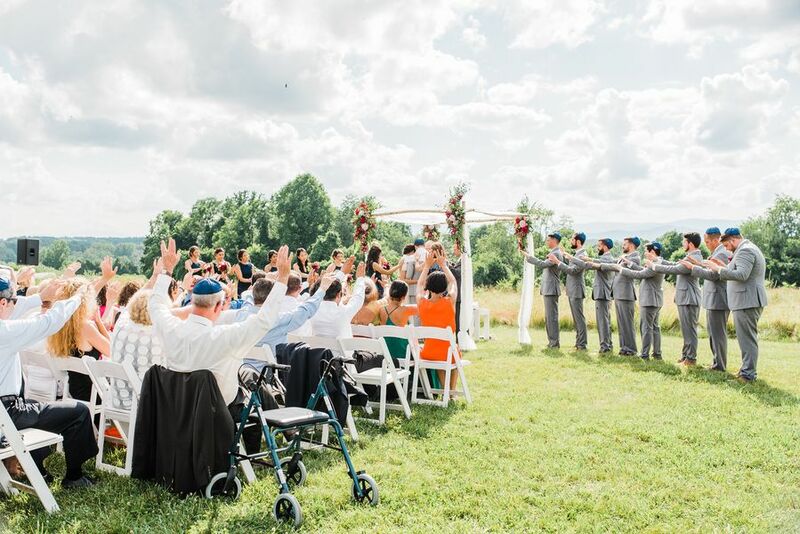 No Comment to " Kalika and Ben's Colorful Wedding in the Mountains "